ITHACA FANTASTIK ANNOUNCES FULL RETROSPECTIVE, FIRST WAVE OF TITLES AND BUMPER CONTEST FOR 2016 EDITION! 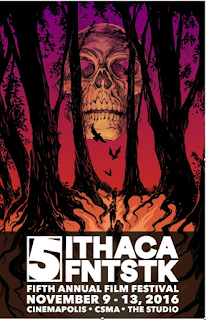 Ithaca, NY, Sept. 8, 2016 - The Ithaca Fantastik film festival is only two months away, and the IF team has been hard at work creating an incredible program for the event’s fifth anniversary. 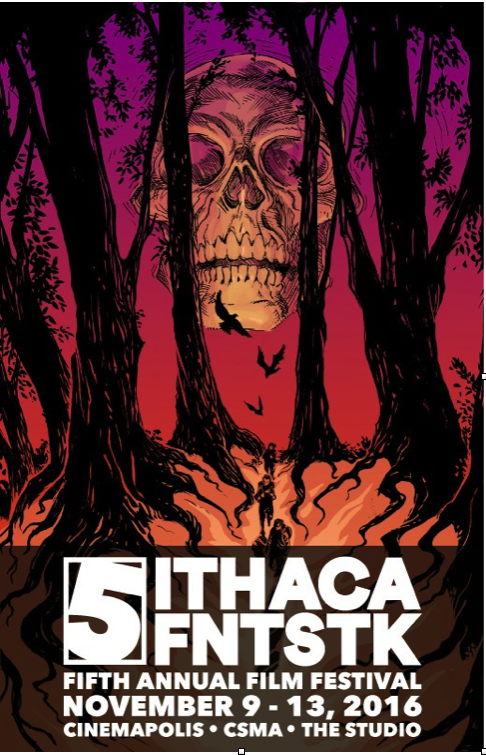 The festival will be held Nov. 9–13 in Ithaca, NY. This year’s retrospective, The Known Unknowns, will dig into viewers’ deepest fears. Sponsored by SHUDDER, the retrospective will include “The Naked Prey” (Bill Wilder, 1960); “Deliverance” (John Boorman, 1972); “The Long Weekend” (Colin Eggleston, 1978); “Altered States” (Ken Russell, 1980); and “Aliens” (James Cameron, 1986). But that’s only the appetizer. The IF team has assembled a highly diversified film lineup to respond to their expanding audience’s growing desire for all things Fantastik. This year’s new Cinema Pur competition will celebrate challenging, innovative approaches to storytelling. 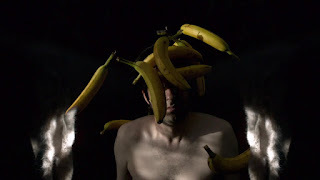 Carefully-curated contenders include the US premier of experimental comedy “She’s Allergic to Cats” (Michael Reich, US); visually captivating “Alipato: The Very Brief Life of Ember” (Khavn, Indonesia); and the NY premiere of minimalist post-apocalyptic film “The Open” (Marc Lahore, France). 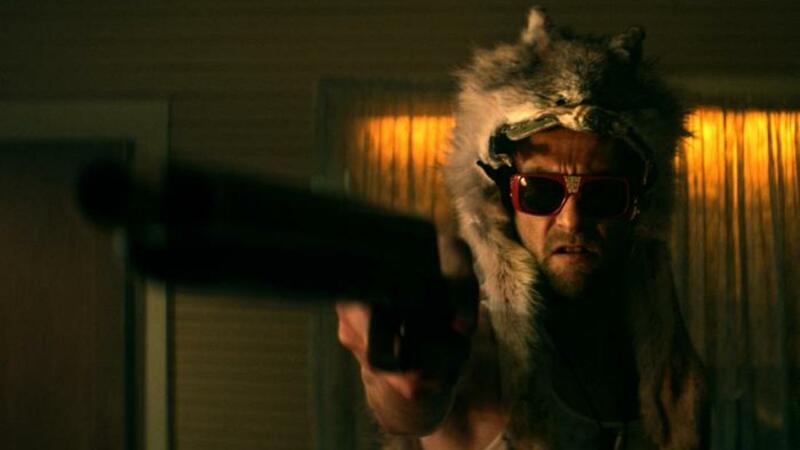 The Festival Favorites mini series will return with a vengeance, screening the highly acclaimed “The Love Witch” (Anna Biller, US); TriBeCa Film Festival Award winner “Here Alone” (Rob Blackhurst, US); and SxSW acclaimed debut feature film “The Master Cleanse” (Bobby Miller, US). Festival-goers will wander in India with two of the IF team’s favorite films of the year, action-packed “Psycho Raman” and socially-infused mockumentary “Autohead.” And, not to be missed, Mattie Do’s sophomore picture “Dearest Sister” (Laos) and the adrenaline-pumping “My Father Die” (Sean Brosnan, US) round out the first wave of titles. This year’s bumper contest will draw from the theme of retrospective film “The Long Weekend,” which proves nothing is scarier than unpredictable nature. Filmmakers are invited to submit their own original nature revenge short film to IF by Oct. 15th 2016 (Submit by using Wetransfer; email: hbarbier@ithacafilmfestival.com and type NATURE’S REVENGE IF in the subject line). The contest has two rules: 1. The film must be no more than 45 seconds; 2. The twist should involve nature taking revenge on humans for their acts against mother nature.